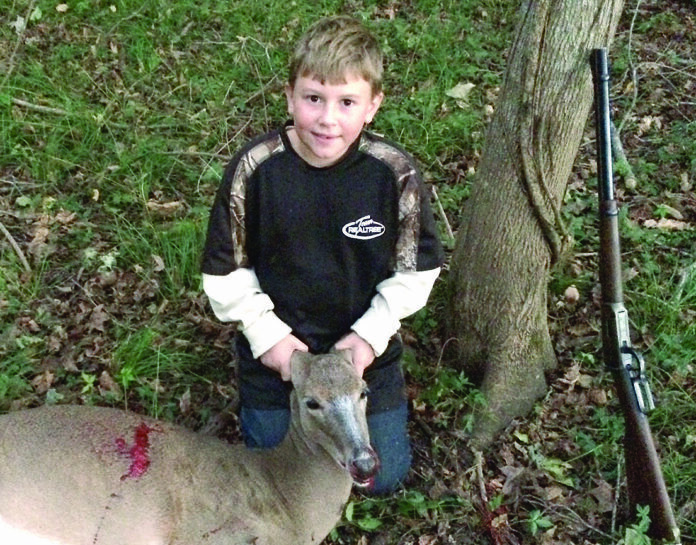 Skyler Hill Davis, 10, got his first deer, a doe, Sunday, Oct. 29 while hunting with his Pawpaw Ernie Davis in Natchitoches Parish. He made an 18-yard shot from a ground blind with a Winchester 30-30, the same rifle his pawpaw used to get his first deer 49 years ago. His success came after an afternoon of watching a nubbin buck that never presented a shot.